Happy Thanksgiving! All of our ebooks, screencasts, and audio books are on sale for 40% off until December 1, 2015. 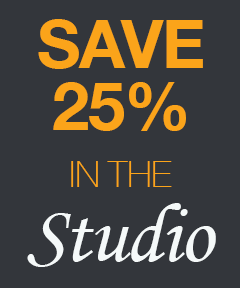 And save 25% from our friends over at the Pragmatic Studio! See below for details. Happy Thanksgiving, and thanks to all of you for a very exciting year! It's time again for our annual sale. 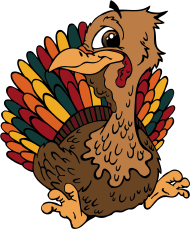 Now you can save 40% off all* ebooks, screencasts, and audio books until December 1, 2015 by using coupon code turkeysale2015. In case you missed any, here is a list of the titles we published in 2015— everything from popular best-sellers to a few underappreciated gems. Did you miss anything? Come and get it now at 40% off! * There are a few exceptions; e.g., The Pragmatic Programmer ebook is not eligible as we do not publish it. Fill up on the good stuff this Thanksgiving with 25% off all Pragmatic Studio courses! It's okay to have seconds (or even thirds) of this sale. You can feast on these confidence-filling courses without any extra calories. If you've never taken one of their acclaimed online courses, here's your chance to learn in a pragmatically different way at an amazing low price. If you're already a Pragmatic Studio alum, you'll save an additional 25% on all Ruby and Rails courses. No coupon code necessary. Prices are slashed today through December 1, 2015. Bon appétit! Andy Hunt and Dave Thomas founded the company with a simple goal: to improve the lives of developers. We create timely, practical books, audio books, and videos on classic and cutting-edge topics to help you learn and practice your craft. Follow us on Twitter: @pragprog, @pragpub, Andy @PragmaticAndy and Dave @pragdave. Manage your subscription using your account, or permanently unsubscribe here.